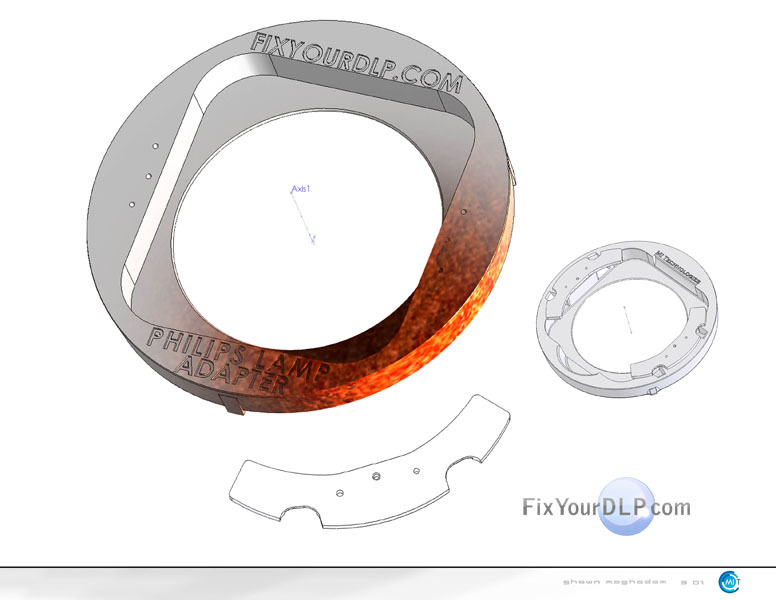 Home › FixYourDLP › Lamp Adapter Has Arrived! The Lamp Adapter Is Here! 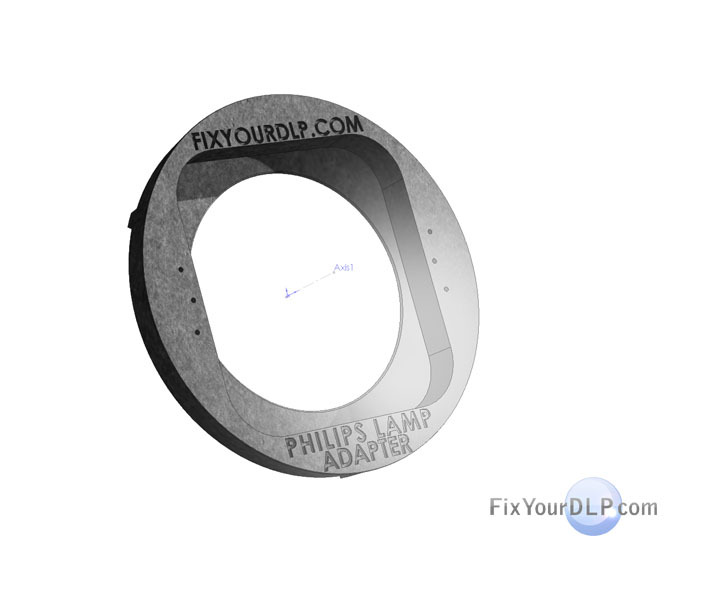 This adapter will allow you to fit a new model Samsung Lamp (made by Philips) into your older generation TV. 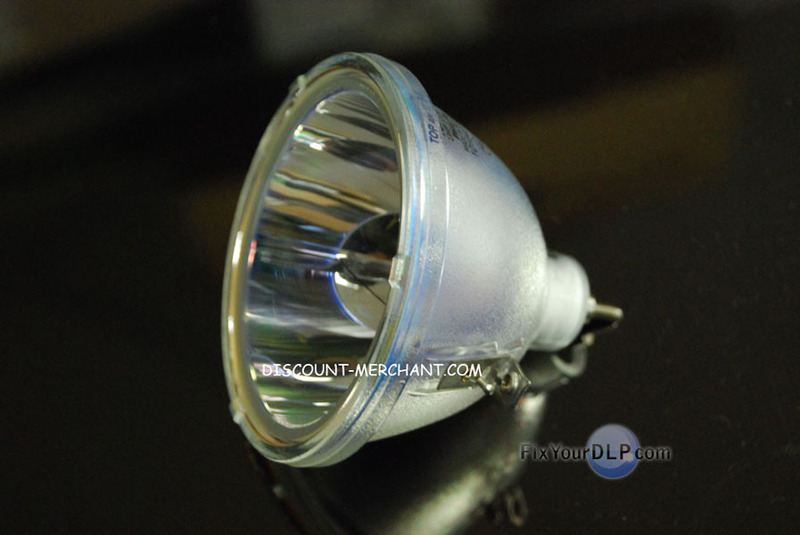 Lamp Codes such as the BP96-00224C/D/E/F/J which all utilize the older “big” bulb can be converted to this more modern and reliable lamp. How do I know if my TV is compatible with the Philips Lamp Adapter? Does your TV Lamp look like the lamp below? You will probably have to open your lamp enclosure to double check. So far so good? If so, you should keep a spare of these lamps in stock… as you may know, Samsung was recently on backorder 4-6 weeks for these lamps!! Don’t get stuck missing your favorite programs because you didn’t have a spare lamp! 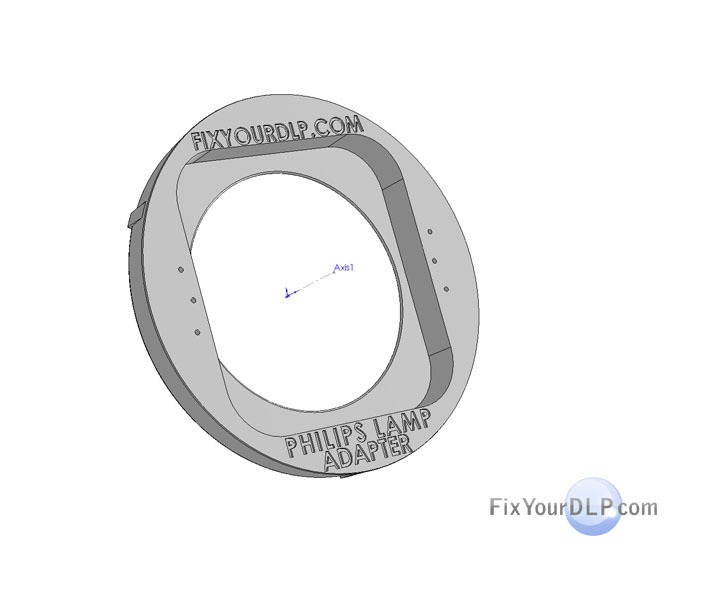 You can place Orders for the new Philips Lamp + Adapter using the following link. Update 05/15/2007 We’ve shipped out over 700 replacement Lamp+Adapter Kits as of today! 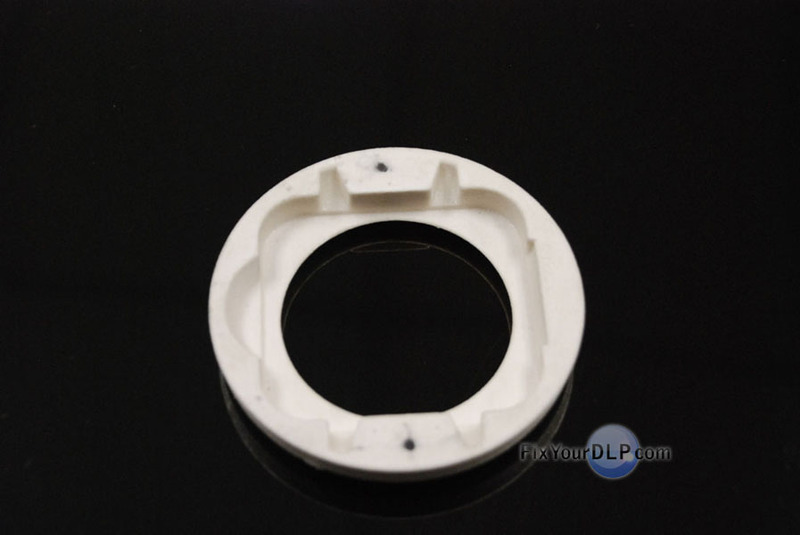 The lamp adapter is near the end of it’s initial production run. We are testing our first samples and should have the kit available for sale within the next 15 days. I full endorse and approve this product. Our service center (one of the biggest, if not the biggest, on the west coast) now uses them on ALL of our “big” lamp replacements. 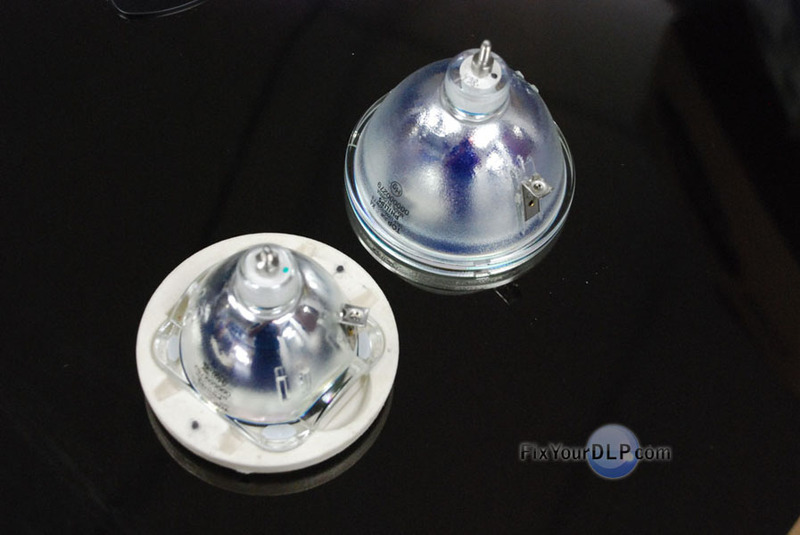 Our tests show that the lamp last longer, and it is more resistent to changes in the room ambience. This adapter is manufactured PERFECTLY. 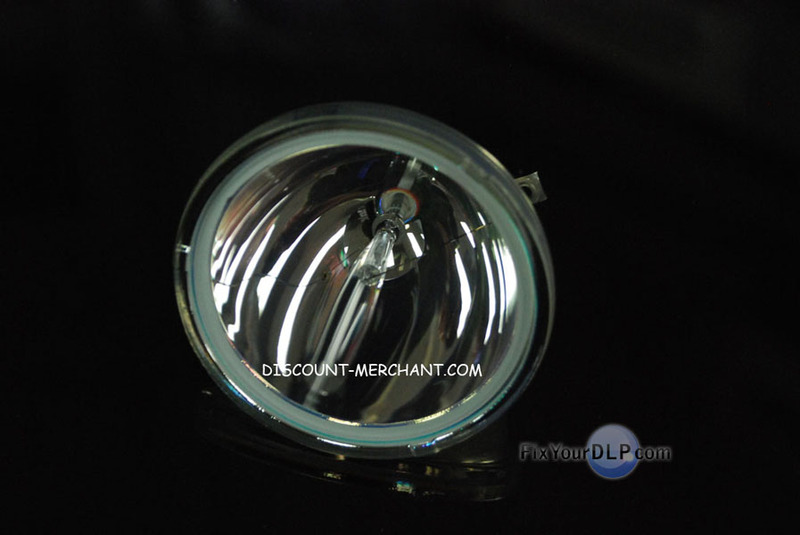 The lamp center and front glass alligns perfectly to the original specifications. It is engineered to replicate the big PHILIPS lamps form factor to the the nanometer! These guys are true experts at what they do and the finished product is a marvelous breakthrough in lamp life extention. Great product. Our first order of this product worked seemlessly in the sets that we serviced. It seems to be a great well-thought-out design as above described by ovadoggvo. Everything lines up perfect and the distance of the filament perfectly align. Great job guys! You solved our problem of finding a replacement for a discontinued part that we have had to deal with for months. Advanced Electronics approves your work! 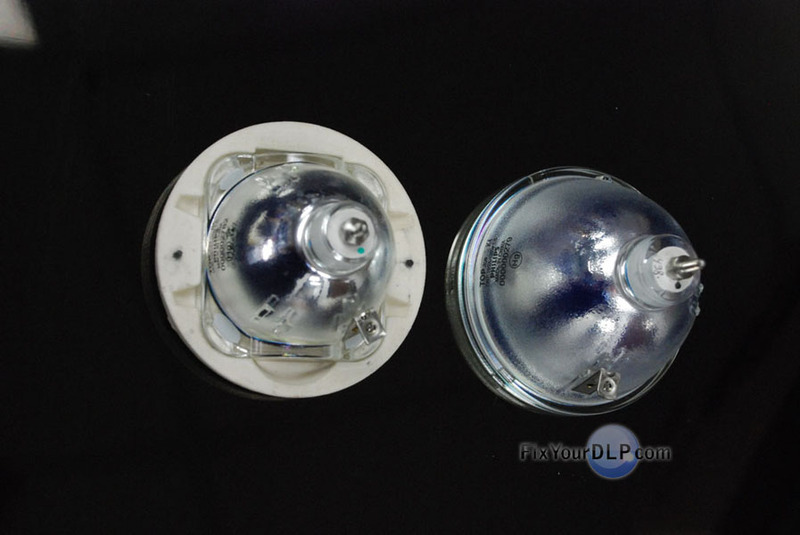 are these new lamps the 120v like the old ones? Interesting, but I was wondering if you have to worry about the ballast? FYI, I have a HLN617W. And which of the newer generation bulbs would I get for my Samsung which now uses a BP96-00224E(P)? 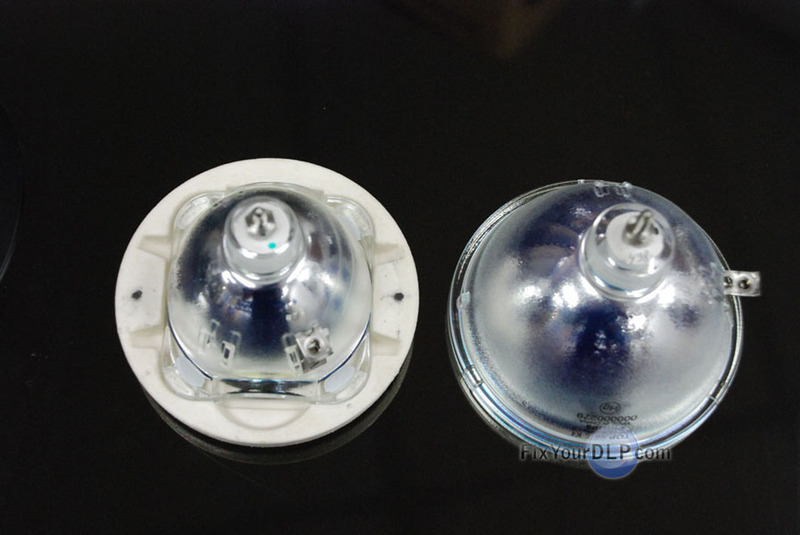 In July I ordered and received two bulbs from Discount Merchants for my HLP6163WX/XAA with a lamp code of BP96-00608A but didn’t receive the requested adapter. Now I need to change out the OEM “Big” bulb and can’t. What gives? No where on the site do they sell just the adapter. So am I stuck with ordering a third bulb just to get the adapter? Please help!!! 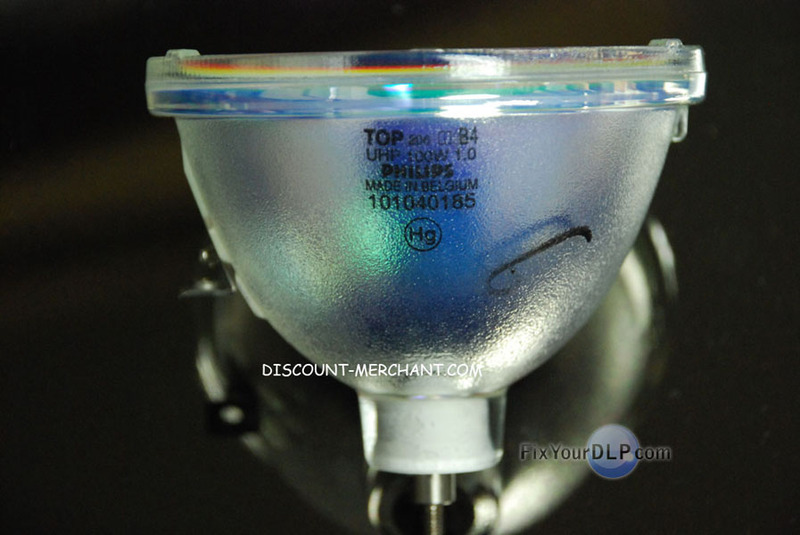 I purchased (from discount-merchant.com) and installed this Samsung BP96-00224E OEM Replacement LAMP / BULB BP96-00224E(P) according to everything you have explained. When I turned the TV back on, the picture is visibly dimmer than my old lamp. What is the problem? Thanks in advance for your help! http://www.discount-merchant.com not only has the best price anywhere around, they have knowledgeable staff to help me get the right product. The website is very informative. 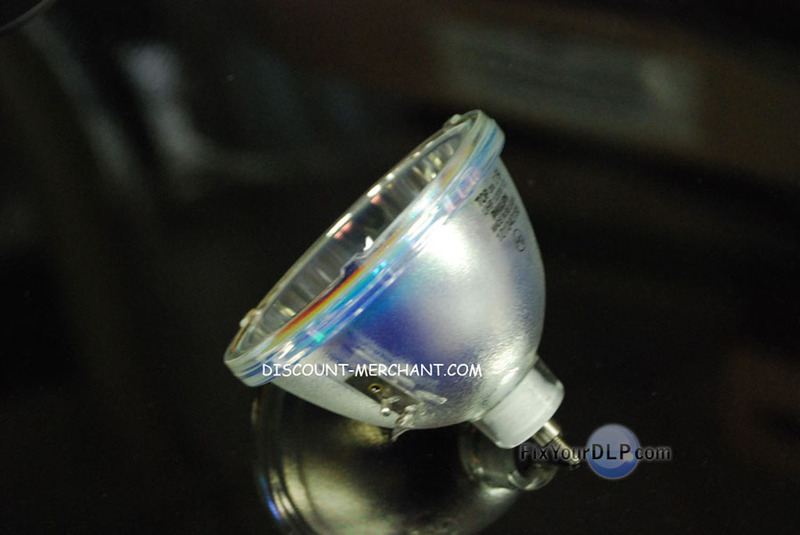 I’d recommend anyone who needs a new replacement lamp for their DLP TVs. Is there an adapter for the HD61THW263 265109 bulb? If not can you design one this bulb is hard to find and expensive. 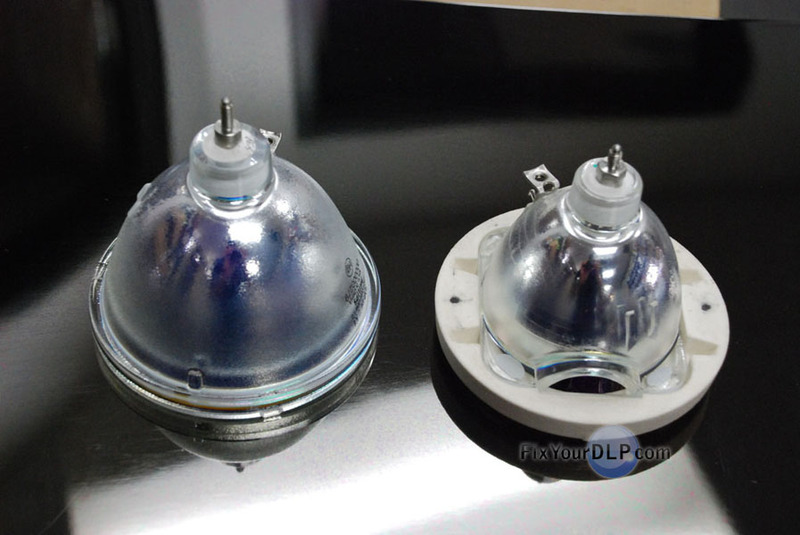 I was wondering which of the new small bulbs I should get I have a Samsung HLP5674W and normally use a BP9600224C bulb. If you have a BP96-00224C it’s possible that your TV has a 100W ballast, but it’s also completely possible that it has a 120W ballast. During manufacturing of the BP96-00224C series TVs, Samsung switch from the 100W to the 120W. Looking at the replacement parts from your TV, it appears that your TV should have come with the newer 120W ballast…which makes sense because it’s a HLP Series. I have a RCA HD44LPW62 DLP, MY PROBLEM IS WHEN I TURN ON THE TV IT STAYS ON FOR ABOUT A MIN THEN TURNS OFF, I TURN IT BACK ON AND THE SAME THING? The RCA’s have troubled power supplies. By power supply, I’m not referring to the ballast…but the actual power supply of the TV. If you follow your TV power plug from your wall to the back of the TV, your power supply is located right there. How do you check to see if your power supply is the problem? Follow your power cable to the power supply PCB and examine the board. Usually when the power supply fails, you’ll get the same symptoms as your lamp going out. I have the Optoma RD65 DLP TV which uses OSRAM P-VIP 120/1.3 E23 (5Kv precharge). I alredy tried the OSRAM P-VIP 100/120 1.0/1.3 E23h(h=15Kv precharge) which is not compatible with Optoma RD65 whose ballast only supports 5Kv precharge. Do you carry any compatible lamp for the RD65? Thank you. I also have an RCA HD61THW263 with the 265109 lamp. The tv turns on and works fine, but the picture is very dark, even in a totaly dark room. Is this a sign of the bulb going out? And if so where can i get the adapter and bulb for this tv. 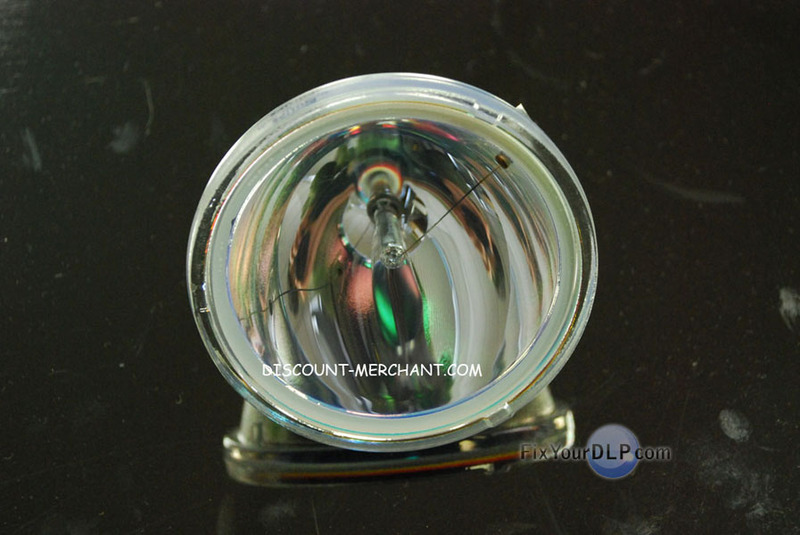 I contacted discount merchants for help an they flatly refused stating they know nothing about the type of bulbs needed for certain tvs with this in mind how do you know which bulb if the people selling them dont know. I have the samsung sp43j6hd which is not on any of the lists for new lamps so which do i use someone please help here. some say its the e23h some the e23 other sites say different things so which one please. I was given a Samsung SP43J6HD for free today, unfortunately with a supposed broken lamp. Does your company have a conversion kit that will fit, and at what cost? P.S I live in Norway. 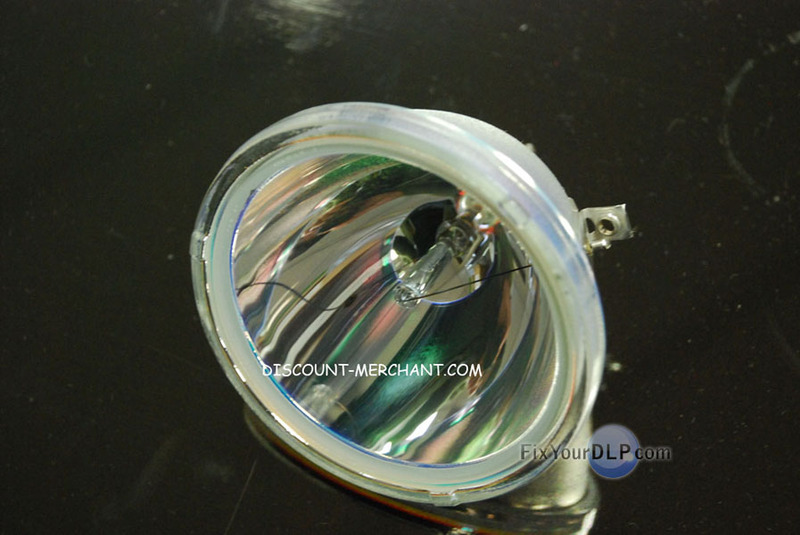 I have RCA 61 inch have replaced bulb several times. Still very dark picture. Any one have an answer???? This answer is 3 years later, but the answer to your question is the wattage of the lamp. You will most likely need a 100/120W lamp. 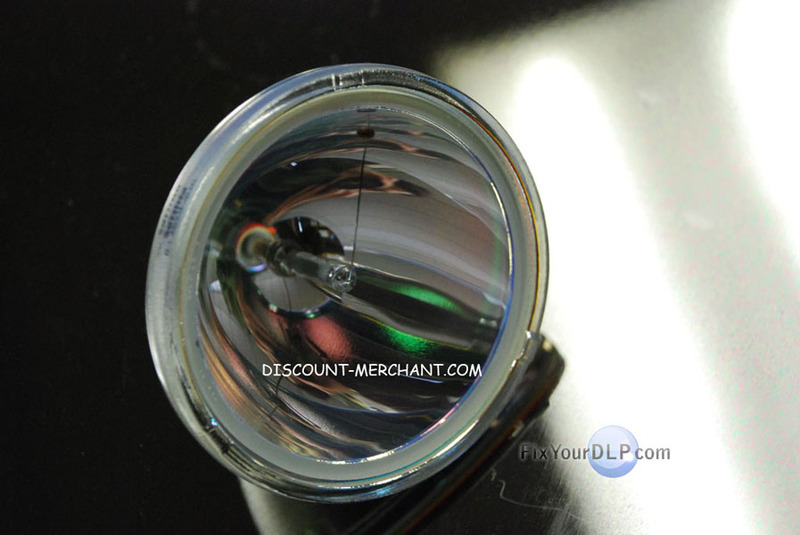 Make sure you are ordering a 100/120W lamps with the adapter in order to prevent the dim picture. Your ballast may not be strong enough for the 120/132W bulb.